Hatch Foundation announces partnership with U and new South Temple location. Sen. Orrin Hatch might feel like he never left Washington. On Wednesday, Hatch, alongside others, officially announced the location and partnership for his new eponymous foundation. 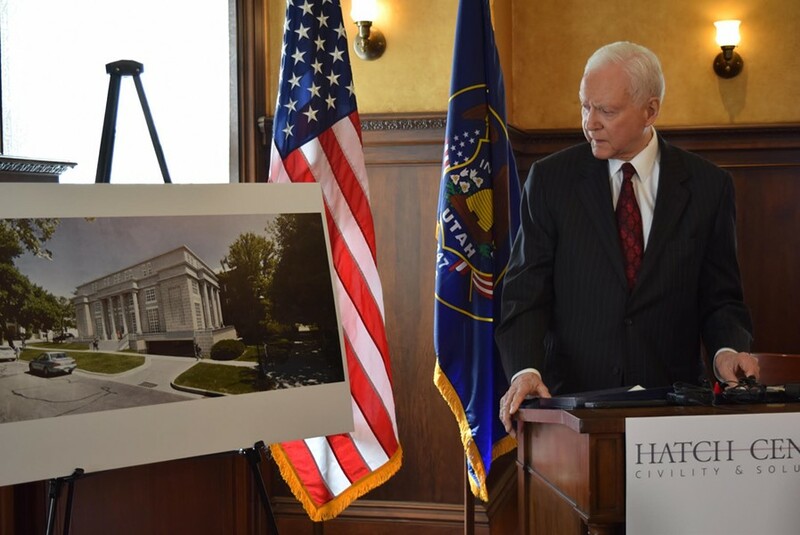 The Orrin G. Hatch Foundation will be located at 427 E. South Temple and will operate in conjunction with the University of Utah. It’ll also feature an exact replica of his Washington, D.C., office on the first floor where Hatch will work. 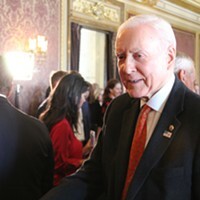 The center, meant to honor Hatch’s legacy, will house 42 years of archives from his time in the Senate as well as host political forums and discussions on policy. Hatch was joined by new U president Ruth V. Watkins; Kem Gardner of the Gardner Foundation and board member of Hatch’s foundation; and Trent Christensen, the foundation’s director. Christensen emphasized the idea of creating a place that will encourage civility in public discourse. The words “civility” and “solutions” also appeared as part of the Hatch Foundation’s logo at the announcement. The center will include a library and digital archives for students, faculty, scholars and members of the public and also house and exhibit and learning center. In addition to working with students and faculty at the U, officials plan to host seminars, fellowships, noncredit courses and conduct case studies at the foundation. Its location will be across the street from the Thomas S. Monson Center on South Temple. The U owns the parcel of land—currently a parking lot—valued at $520,700, according to Salt Lake County’s property records. Construction on the project is expected to start in Summer 2018 and be finished not long after Hatch’s term is up and the senator moves back to Utah, Christensen said. According to a March report in The Salt Lake Tribune, the foundation had already raised $6 million toward the building and were eyeing a goal of $100 million. Who has donated to the foundation might never be entirely clear, though, as the nonprofit doesn’t have to disclose its donors. “We have very aggressive goals for the endowment for the center and we’ve been able to work with a lot of partners,” he said. In Hatch’s new office, he will interact with students and others as well as “write his memoirs,” Gardner said. 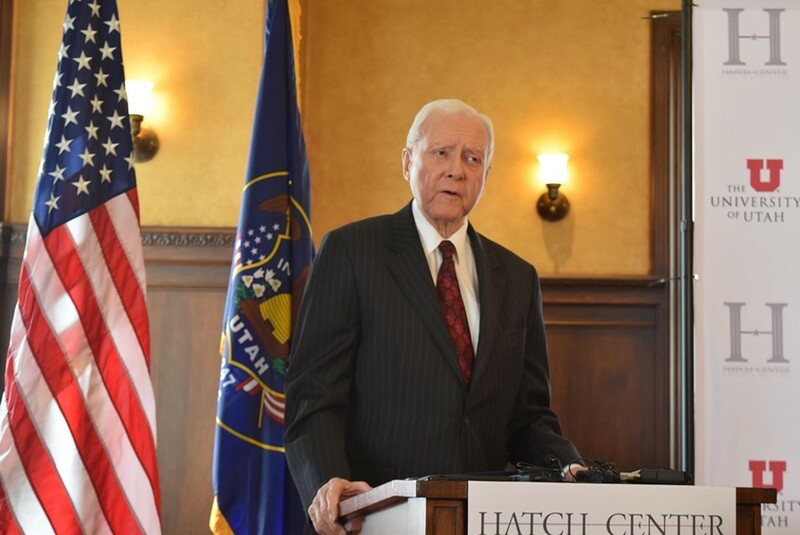 “Together, we can recapture civility, respect and bipartisanship to the public square,” Hatch concluded.